Hi ladies, 'oh another film post' I can hear you say. Well, I left my June round up rather late, so I had to split my film review for July into two parts as I'm trying to catch up on films earlier this month. Said and done. I booked myself a cinema marathon of four films, of which I only managed three in the end, due to an emerging migraine. 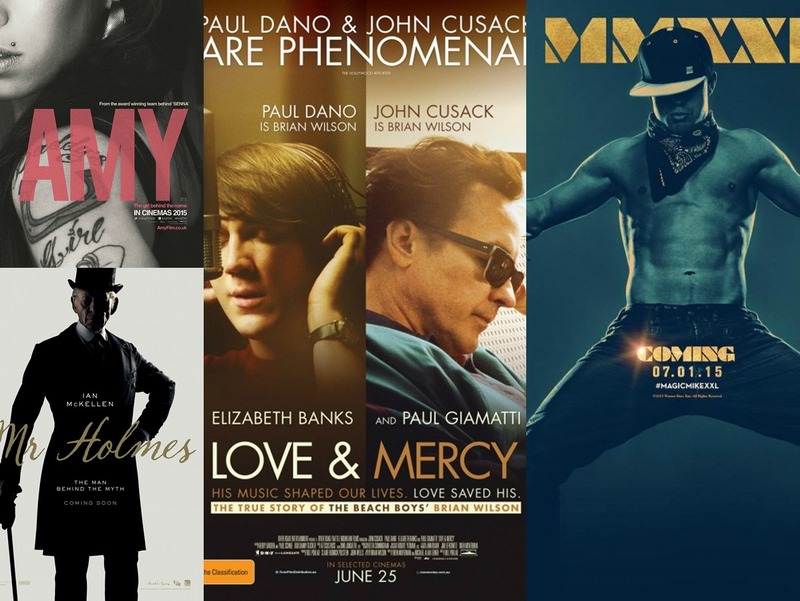 Magic Mike will be, however, added to the list later in the month, so keep watching this space. To me, a good documentary can talk about an unknown topic and engage me through an extraordinary presentation. The facts are wittily intertwined to stir interest, demand interaction and teach me something. Sadly this doesn’t apply for the latest and much talked about documentary about Amy Winehouse. Yes, it has exclusive and never seen before footage and video recordings but does it tell you anything new about the singer? No. I’m not an expert but I did follow the extensive media coverage around Amy for years before she died in 2011. The media have all recently talked about a ‘sweet and shy girl’ with regards to Amy. I haven’t seen that person in the film at all. I’ve seen a young distressed woman, who has always been a bit chavvy with the tendency to drug herself into a coma. Her destructive character has been there right from the start and you don’t learn anything on the why or how. Her ‘friends’ seem to be full of talk and big words instead of actually helping this lost soul. The documentary focuses very shallowly on her early days as an artist and then briefly throws in her parent’s divorce, the fatal relationship to Blake Civil-Fielder and her inability to cope with fame. With a running time of 2h, Amy is too long for my taste and though I appreciate the effort to bring exclusive content, I feel the film would have benefited from a different narrative rather than a shaky video recording that causes severe headaches. Scenes are randomly rowed, there’s no guideline or main statement. It is merely an account of presenting ‘never before seen footage’ that doesn’t do anything for the film and reminding every one of the sensational reporting and paparazzi hunting that is still regularly practised in today’s world. I wish the narrative would have been done in a more tasteful and sensitive way. More analysing and questioning, rather than throwing in different voices who only comment of what’s happened and nearly everyone could have contributed those shallow statements. The film never critically questions any of the characters actions, decisions or help for Amy would have made the film far more complex, professional and interesting. I’m being honest with you. Outside his role as Gandalf in the Lord of the Rings trilogy, Ian McKellen can’t embody any other person than himself. With that being said and also given the fact that it is extremely difficult to fulfil the high hopes and expectations since the new BBC interpretation of Sherlock Holmes, Mr Holmes was set to fail straight away. My initial presentiments were confirmed. Mr Holmes is an extremely boring and slow film with hardly any suspense or likeable characters. The plot, absurd and random, stretches like gum. The strands are a confused mixture of anything and nothing. Ian McKellen as a senile but still massively precocious Sherlock Holmes couldn’t convince me at all. Even more annoying is Laura Linney’s fake British accent. Her overacted rhoticity rolled up my toenails every time she opened her mouth. Urrrrggghhhh! There’s no sophisticated dialogue, no wit, no charm, no character development or intelligent twists. What a waste of time. It took me a while to get access to Brian Wilson's biopic. In a slow and sensitive narrative, the Beach Boy's frontman story is told through flashbacks in which we see a talented Paul Dano portraying the musician and his rocketing way to fame. In contrast are scenes from the early 90s where we meet an older version of Wilson (played by John Cusack) who battles with paranoia, schizophrenia and a tyrannical psychologist. The story accelerates when Brian meets car seller Melinda (Elizabeth Banks), whose love finally gives him the strength to break free from his condition. Love & Mercy is a calm film that takes its time to develop characters to portray them delicately. The characters are round and the acting is powerful, so in some scenes, the actions speak a lot louder than the dialogues. The cast works extremely well together and I loved Elizabeth Banks. After seeing her in so many comedies, it felt refreshing to enjoy her in a more serious role. Overall Love & Mercy managed to develop from a slow and slightly boring film into a gripping drama that engaged and touched me. It's a film that requires your attention so if you're in the mood for that kind of film please go for it! All of my film reviews are based on my personal experience and you don't have to agree with my ratings. I know I'm sometimes hard to please when it comes to films and I don't follow 'mainstream' opinions. I hope you've enjoyed reading today's post and maybe have seen the one or other film? Have you been to the movies recently? Did you watch Magic Mike by any chance and if so what are your thoughts on the film? I'm also excited for Inside Out which will be released at the end of July. Hope you're all well and we'll speak soon.